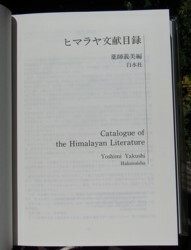 This is the revised and expanded second edition of CATALOG OF HIMALAYAN LITERATURE by Yoshimi Yakushi. 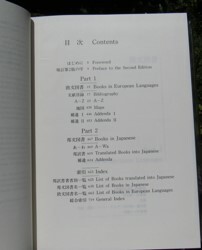 This book was published in Tokyo by Hakusuisha Publishing in 1984. 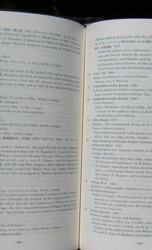 The book measures 264mm tall x 190mm and has 759 pages. 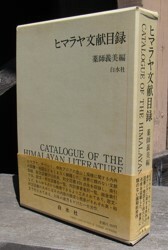 This second edition is considered by many to be the best since it includes nearly all of the collectible books (many were missing from the first edition). The 3rd edition is huge with tons of newer books having been added, the increased size making it unwieldy to handle much like an unabridged dictionary. CONDITION: Original dark green cloth with gilt lettering spine. Original cardboard slipcase and original clear plastic book cover. 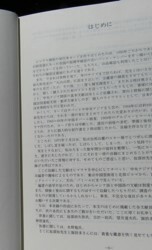 The publisher's printed slipcase box has the original wrap-around band with blurbs in Japanese printed on it. New condition, never used. No marks, no writing, no foxing, clean, never used. Purchased directly from the publisher and held in climate controlled storage for years. NEW condition. Price: $275.